After reading this synopsis, I was ready, willing and able to hunt down this benign “pianomaniac,” Stefan K. if only to welcome him to the fold of piano obsessives, and plead for his HELP!!! It was just under 23 years ago, that my Steinway M, grand, 1917, rebuilt three times, was an involuntary manslaughter victim. I meant to replace “man” with “piano,” but it just didn’t sound right. You get the picture. I had desperately tried to maintain my musical treasure, a gift from my father upon Oberlin Conservatory graduation– and while it needed “work” when first purchased from an Italian builder in the Bronx, it still hummed like a nightingale and bestowed generous years of joy. Frankly, in those days, I had my pick of the best technicians in New York City to keep my grand tuned, regulated, and voiced. It was never a problem until…. The ebony grand had been shipped cross-country by Continental movers. Holed up in Missouri for 3 weeks, it inched its way to the Promised Land, where it safely arrived in agriculture’s heartland. For the next 9 years it managed to be tuned and maintained satisfactorily. A Sherman Clay affiliated tech, Alfred Ellis, who knew the ins and outs of Steinways, faithfully served my piano for ten sweet years sealing a maintenance marriage made in heaven. 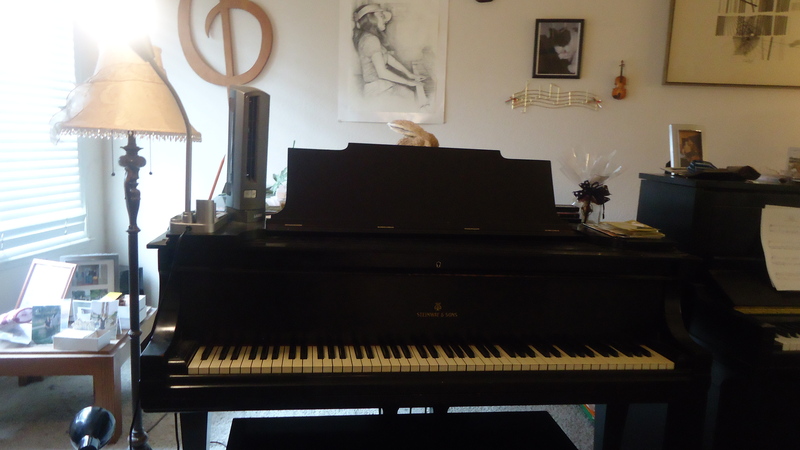 To make a long story short, the newbie, unauthorized, “filed the knuckles and polished the whippens” of my piano, and falsely brightened my upper register, turning it to glass. In a tailspin, I searched frantically for a Piano Messiah to work a Miracle and reverse the damage! Living with a musical stranger had grown intolerable! This teaser to a burgeoning tragedy read like a soap opera script with a cast of characters numbering 10. And all of them danced in and out of my California home with their best promised “cure” for my piano’s ills. In a word, the original crime perpetrated against my grand piano, dropped a notch on the list of atrocities after a slew of medicine men applied their potions to my hammers. Two boxes of the brand new Steinway variety, bit the dust, as my whole house reeked of lacquer. (A substance often used to treat and voice hammers.. or to acquire brilliance!) Talk about GLASS.. or ICE! For certain, a few needle sticks would have worked better than pouring a gallon of that ugly stuff into the action. An air quality assessment team was hastily summoned to monitor toxic fumes. The lurid details of my unfolding catastrophe eventually reached the Piano Quarterly, an eclectic Journal known for its academic focus. Apparently, my screaming tirade caught the editor’s attention as he fought tooth and nail to publish “How Could This Happen to my Piano? !” before Clavier Magazine did. The latter had accepted the article after I discovered its publication in PQ and subsequently I was excoriated for filing two simultaneous submissions. In the scheme of things, who cared? 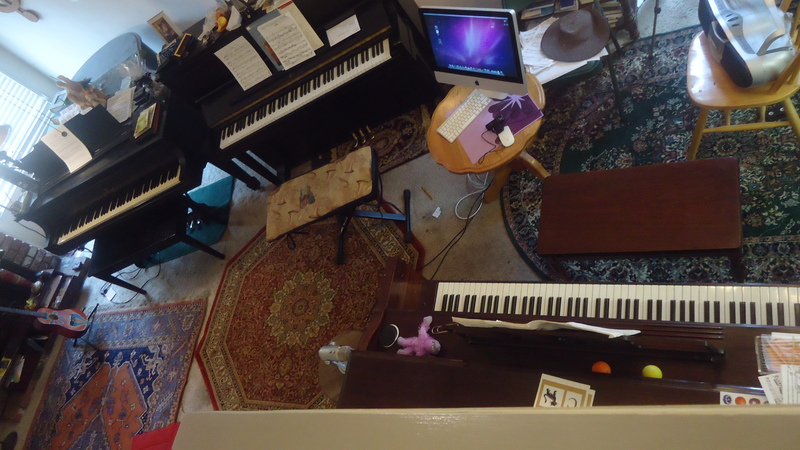 My ailing piano was caught in the middle, desperately needing life support! As luck would have it, the article grabbed the attention of Steinway & Son’s Technical Department Director, Gary Green, who immediately dispatched Vladimir Horowitz’s personal tuner, Franz Mohr, to Fresno. It was the first notch upward in a downward spiral toward hell. But Mohr knew deep down that the piano was the victim of a hate crime and all he could do was provide a palliative. Within a few months the instrument was sent on its way to Modesto to be treated by Dale Erwin, the best thing that happened to it since Ellis’s last tuning and voicing. Rushed to intensive care, the grand underwent major surgery, and was returned to Fresno with a new musical lease on life! Amen! Such travails such as mine are widespread, especially in small communities where too many tuners learn the trade by correspondence courses, or decide that buying a tuning hammer and fussing with a few pianos that they’ve torn the guts and out of and re-assembled, equals having a license to kill. Oops, I meant to maintain pianos of every variety, including Steinways, Bosendorfers, to name a few. Add in the electronic stroboscope tuner placed in the wrong hands, and you have a soured outcome. Or at best, honing octaves along the keyboard spectrum with or without one of these gizmos amounts to the same. (It’s better to hunt down a blind tuner, who has an acute sense of interval discrimination and detects harmonics bouncing off notes than rely on a machine tuner with 20/20 vision) One of my best NYC tuners was blind. In summary, Boyk, a concert pianist and college music professor from Southern California, relied on registered piano technician, Kendall Brown to care for his fine piano. When the fellow relocated, all hell broke loose. In an e-mail exchange, James Boyk also defined an “economic problem” that he asserted was tied to the shortage of quality piano technicians. He pondered, “How do you make it worthwhile for young people to spend many years acquiring a difficult skill that very few customers will appreciate or will want to pay for at anything like a reasonable rate? Moreover, the skill is a “manual one” and we live in a society that looks down on such skills. (except of course where it comes to auto mechanics–my comment) They are a thousand times more in demand than piano tuner/technicians. In 1988, a year before my piano had suffered the pangs of misfortune, I had arranged for a Los Angeles Steinway tech to tune a ream of fine pianos owned by our local MTAC piano teachers. For that purpose we flew Ron Elliot into Fresno, paid his travel expenses, and experienced some of the finest work since Al Ellis had retired. Mr. Elliot, Steinway & Sons trained, tuned for the L.A. Philharmonic, and handled all nine of its Steinway concert pianos. Unfortunately, he couldn’t make further visits to our area because of his crowded professional schedule. While piano technicians can take exams through the PTG, Piano Technicians Guild, and achieve Registered Piano Technician status, (RPT) that’s no guarantee that they’re equipped to work on fine pianos, or those of concert level status. In deference to piano tuners who insist that machine tuning has its merits, it’s really an approach that applies to pianos so badly neglected, that they’re far below standard pitch. According to many techs, the electronic tuner levels the playing field in readiness for ear tuning refinement. But our discussion focuses on instruments that are not neglected, but need constant high caliber maintenance. These pianos may be found in the homes of professional performing musicians and teachers, or in concert halls around the country. If a pianist happens to find himself presenting a recital in a small town with a dearth of capable tuner/technicians, he’s out of luck. In 1988 Jeremy Menuhin, pianist, performed with the Prague Chamber Orchestra on our Community concert series at the William Saroyan Convention Center. At that time, the Steinway “D”model piano was in shambles and poorly maintained. According to insiders who were present at the recital, Menuhin came to the edge of the stage and apologized in advance for his performance owing to the piano’s abysmal condition. Flash forward decades later and Fresno now has a 100K plus nine-foot grand purchased from the Long Island Steinway piano factory. From what I understand Steinway’s technical department has a contract with the orchestra to keep the piano in excellent playing condition which is a boon to our cultural scene. (Would be nice if the company spread the wealth around, and helped some of us underlings keep our Steinways humming along) Hint, hint…. A few years ago, I contacted Jeremy Menuhin, in the hearkened spirit of reminding him of his concert experience in Fresno. He kindly responded. “Your email was amusing, bringing back times when I could not restrain myself..
Finding one highly qualified technician with all those skills is like hunting for a needle in a haystack, especially in this land of agriculture and Rah-Rah Bulldog fever. Am I being redundant? The Fresno landscape, is likely indicative of other less culturally cosmopolitan communities around the country with a voidable short list of artist-technicians, though some might argue that we have a great legion of piano tuners here. I can’t agree. Those I’ve sampled haven’t had the skills to voice, regulate and tune my Steinways–the three crucial areas Ron Elliot enumerates to maintain fine instruments. One local Registered Piano Technician, who did a magnificent job tuning the Haddorff (by ear as I insisted) declined any “regulation” work because he did not feel qualified. While his honesty was appreciated, it was of no help in my quest to keep all my pianos well maintained. Certainly, a relocation to the Bay area would be the logical remedy for my problems. The outstanding work of Israel Stein and Jerry Raz was on display when they tuned my El Cerrito based piano. Kudos to both! But for the time being, the best I can do while living in Fresno, is to pray that a gifted and well-trained piano technician will float into the area and set up shop. Fat chance since all our piano stores have gone belly up and the raid on Digitals is the trend. Tuning is out, bells and whistles are in!! P.S. I have a folder swelling with quotes of grass roots piano techs from around the country that I amassed when preparing an article on this subject. In the days ahead, I’ll share these to convene a fair and balanced discussion. Funny you should mention it but we do have a blind piano tuner John Devlin. He keeps our 120 year old upright grand in fine condition. When we had sighted tuners they all just did not do the job right. Perhaps being blind should be a job requirement. Thanks for your comments.. The one I engaged in NYC was hip to all the overtones.. Amazing! The good techs wouldn’t travel to Fresno. They have their own clients in the back yard. No problem. All my best: I hope you find someone who can resolve the issue! 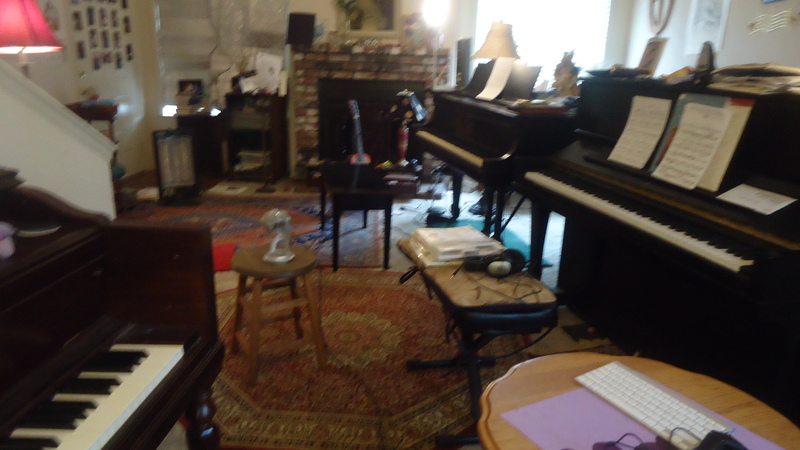 Thanks, Right now I psyche out the piano…and know its ups and downs..incubating “Jesu, Joy of Man’s Desiring” .. one of my favorites at this season. Sure to blog about. Well, you’ve got one new reader! Some of my experiences… One tuners found all treble keys on my Steinway B not singing. I wrote to Steinway & received a new set of hammers — the tuner wasn’t able to improve the sound with it. Another tuner fixed the problem by moving the treble end of the keyboard by not even 1/8″ so that the hammers struck at the right spots on the short strings,. I always enjoy your blog but this post was particularly interesting and enjoyable. Glad it was interesting and enjoyable. Thanks for your positive feedback.